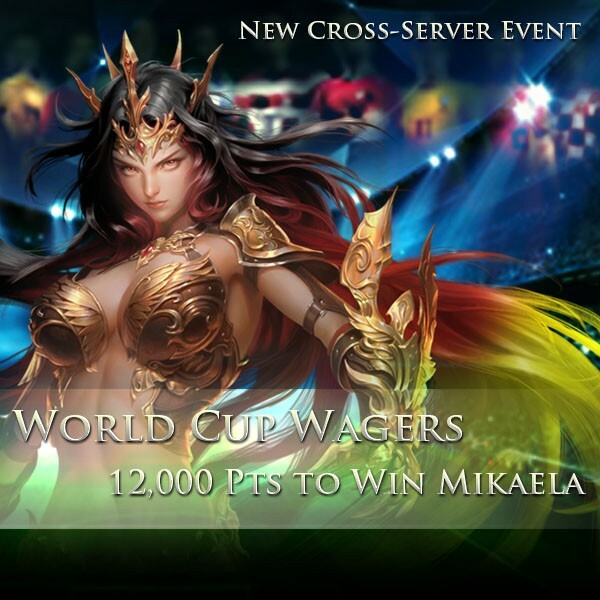 LoA_Join the World Cup Betting to get Mikaela and many more! Description: During the Angel World Cup another Football World Cup event will be held. In this event players may place bets on their favorite 2014 World Cup football team. Bets may be placed from the June the 13th until the 14th of July. Rewards: Angel Mikaela! And many more! Skill: Deals Magic DMG equal to (160% ATK +500) to all enemies. 1. Players can place bets each day. 8. Betting Vouchers can be obtained from using Gold or Vouchers. Players may also complete in-game Events to earn more Betting Vouchers.